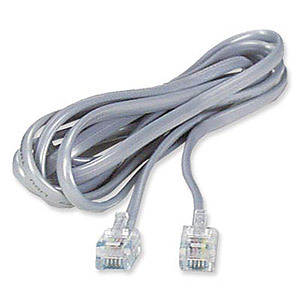 Carry this extra length phone/modem cable with your laptop whenever you travel for dial-up access. With two 6P6C (RJ12) jacks, you can use this cord with either 4-pin or 6-pin outlets. Note: The jack is commonly referred to as RJ11.